Synopsis: Years after her aunt was murdered in her home, a young woman moves back into the house with her new husband. However, he has a secret that he will do anything to protect, even if it means driving his wife insane. Did You Know? 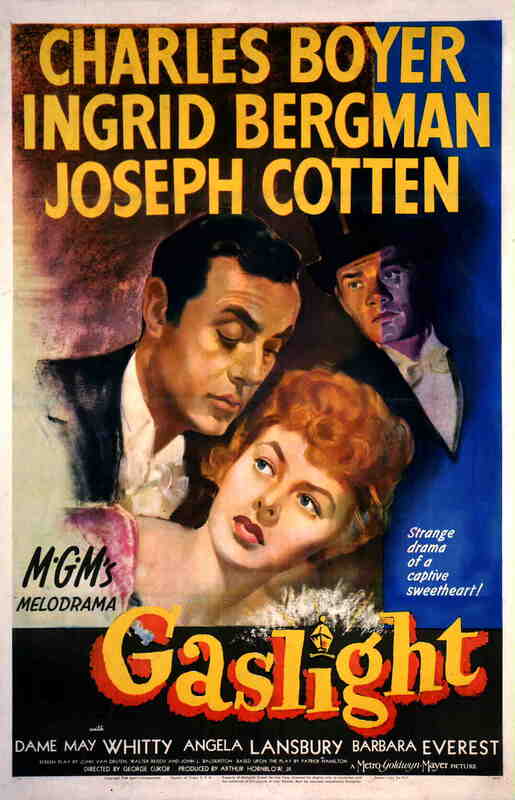 Only 17 at the time, Angela Landsbury made her film debut with Gaslight. She had been working at a department store in Los Angeles. When she told her boss that she was leaving, he offered to match the pay at her new job, expecting it to be in the region of her current salary of $27 a week. He was, therefore, taken aback when she told him that she would be making $500 a week. This film isn’t just a whodunnit murder mystery; it’s a drama about emotional spousal abuse. Paula is manipulated by her husband into never leaving the house; he convinces her that she is going mad, having wild hallucinations and memory loss. He’s even convinced the house staff, Elizabeth and Nancy, to feign ignorance of the noises in the attic and the flickering of the gaslights. Your pity for her and your hatred for him grow so great as the film progresses that when she finally turns the tables, you feel such satisfied vindication.